In 1997, Ruthann realized that the parents of her 240 chorus students at Garnet Valley High School had no community chorus in the area and knew that many would be interested in participating in this type of an organization. As the high school choral director and director of the school’s musicals, she understood that music was something that people of all ages and abilities could enjoy, so she sent out a call to the community to come and sing. The first rehearsal had 28 singers, the first concert featured 60 performers and the group now has a membership of 150+. Ruthann received her B.S. in Music Education with a Vocal concentration from West Chester University and her MS in HR Development from Villanova University. George began his career as a music teacher after earning a B.S. in Music Education from West Chester University. 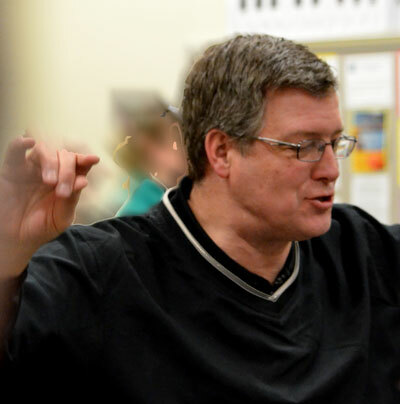 After moving into the technology business world, he remained involved in music by singing with several groups and churches in the area, directing musicals, performing in local theater productions and directing the West Chester Area Community Chorus.